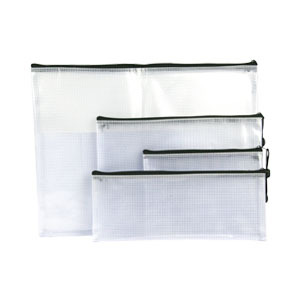 Celco Clear Mesh Cases are ideal for document and stationery storage. Perfect for the home, office, school and important exams. They are made from thick, strong, long-lasting reinforced plastic 330micron – the strongest you will find on the market. Celco Clear Mesh Cases are reinforced #5 zips for secure closure and long life span. Available in four versatile sizes.